But this is the problem: the Russian Communists have entered the struggle against Franco, but on the side of the bourgeoisie rather than the revolutionary socialists, and it is clear the antifascistas will soon have to confront a contradiction. Now this is not the kind of contradiction entertained by Marx’s historical materialism. Stalin has allied himself with France out of his fear of Germany. France has no interest in a revolutionary Spain, and one of Stalin’s other great betrayals – the Molotov-Ribbentrop Pact — is still in the future. Solzhenitsyn might point out that Stalin’s fear of Germany was certainly legitimate, given that he was in the process of gutting his own military in a series of bloody purges. The Communist International’s policy becomes “support the interests of the Spanish middle class even if it means turning on the socialist revolutionaries.” And guess what: the military successes of the anarchists and independent Marxists meant they would soon be a threat to the bourgeois dominance of the Republican party. While Peter Carver might have fought with Communist units (I never asked him this important question), Orwell fought with the POUM, a faction of independent Marxists in Catalonia and Zaragoza. At some point in mid-1937, the Republicans, at Russian insistence, began concocting stories about POUM betrayal, that they had been colluding with Franco. And the arrests began, leading Orwell and his wife to flee Spain in fear for their lives. How naive was Orwell? Having escaped Spain, he put together this book of reportage within months, Homage to Catalonia hitting the shelves in 1938. He interspersed chapters of political analysis, apologizing to readers for all the acronyms, and suggesting they can skip these parts if it gets tiresome. This great journalist had come face to face with the biggest story of the 20th century — the perfidy of the Communist Party of the Soviet Union (CPSU), and its betrayal of the working class and its would-be intellectual representatives — and he is afraid of boring his readers with acronyms! Of course, the division among the Republicans led to their failure against Franco. His Nationalists won the Spanish Civil War, and Franco remained in power until his death in 1975. The Nationalist victory was still in the future when Orwell was writing in 1937, so we are not told what he thought about this catastrophe for the Spanish working class (We have to imagine that Stalin thought that Franco’s victory was preferable to a socialist revolution in Spain, given his nationalistic geopolitics). 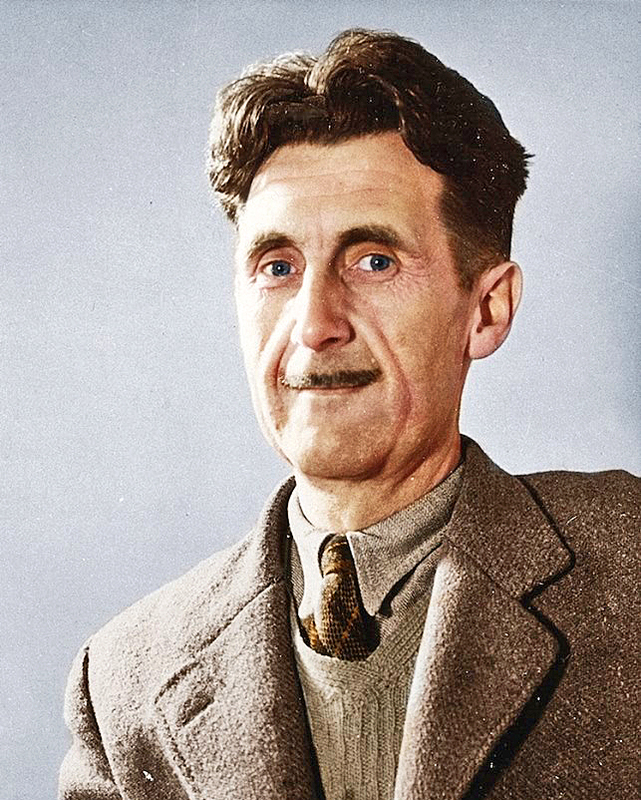 But naiveté can be charming, and Orwell’s political evolution is still relevant. After all, how do we respond to this great fact of history: the most powerful idealistic ideology has spawned the most murderous regimes the world has known? Orwell felt no need to apologize for his revolutionary enthusiasm over Barcelona in December 1936 because he still saw socialism as the path to authentic human relations. But Solzhenitsyn had reached a different point by the time he began writing the three volumes of The Gulag Archipelago. He observed that evil is not “out there,” but the dividing line between good and evil runs through every human heart. The spiritual path is that of attending to the “beam in our own eye” before any form of violence in the service of the ideal could ever be justified. Trying to protect me from the leftists I would encounter on the University of Sydney campus, Carver had me read Karl Popper. I bought and devoured Popper’s two-volume The Open Society and Its Enemies in 1979. The vaccination didn’t work. I was still swept into Marx’s orbit, first by the man himself, and then by the postmodernists and the critical theorists. I was soon made spiritually ill by not-really-post-Marxists such as Adorno and Foucault. I might not have wanted to throw myself at the barricades, but then barricades were pretty hard to find in Sydney in the 1980s. The next best thing, as far as Satan was concerned, was for me to be caught up into a bubble of criticism of the status quo, which bubble severed me from real human relationships and real happiness. I did attend a Socialist Workers Party meeting in which a visiting British professor assured us passionately that international finance capital (or whatever) was about to collapse of its own weight. In the age of disco, Adorno’s critique of the culture industry seemed more to the point. Radio host Mark Levin’s impressive Ameritopia: The Unmaking of America makes a major mistake, in my opinion. Like Popper, he locates the drive towards totalitarianism in the craving for transcendence, the yearning for utopia. Levin and other paleo-conservatives want us to surrender that hope, but it is not for us to surrender. 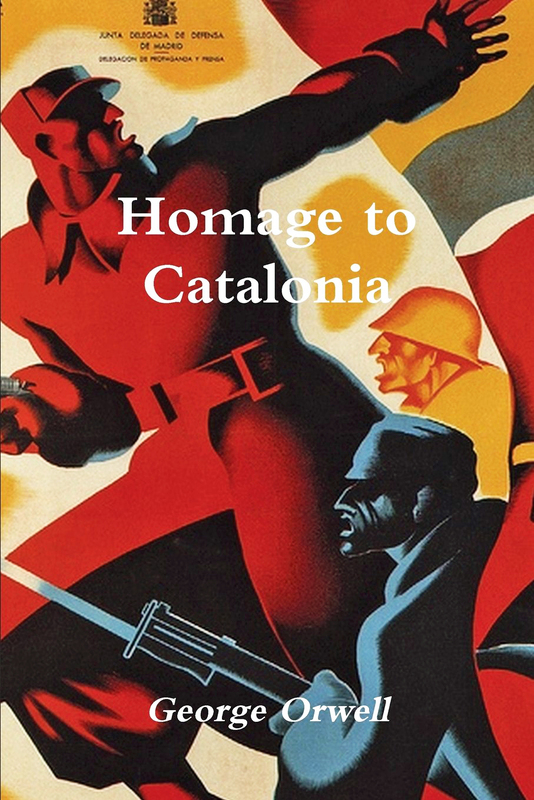 Orwell’s book is a homage to the human spirit he experienced in Barcelona and the battles he fought with the volunteer militias — who were woefully trained and armed yet defeated not by the fascists but by the Comintern. Orwell fought for a few short months with his rag tag militia. The Catalan POUM unit he joined up with was without military training and possessed few functioning firearms. They lived and fought in the cold central foothills of Spain against small fascist units, sometimes from trenches, sometimes hand-to-hand. Initially frustrated by the small prospect of any military success, and the large prospect of dying a purposeless death, Orwell observed his fellow fighters. Embarrassingly young and inexperienced, they held on through pain and tragedy, and did not desert. Theirs was a brotherhood of survival in the midst of mud and gore, and of idealism and patriotism. Peter Elliffe is a New Zealander by birth. He graduated from the University of Sydney, majoring in philosophy, reading the Frankfurt School and German Idealism. He lives in New Jersey with his wife and three of his six children, having met the Unification Church in 1988. Thank you, Peter, for this particular contextualization of George Orwell. Very insightful. In his book, “The End of Utopia,” Russell Jacoby provides a cautionary warning stating that anyone in this day and age who incessantly pines for a utopian ideal “is widely considered to be out to lunch or out to kill.” Though Jacoby is a man of the left he is of the opinion that that diminishing of utopian idealism is unfortunate. Right or left, I believe that most of us maintain that the pursuit of a better, more humane world must never give in to hopelessness and abject cynicism. In this respect we all may be utopians because we imagine a better future and view Divine Principle as “the way” solve our spiritual disorders and then fashion a more ideal reality. You cite Theodor Adorno. His penchant to deride pop music is well know in academic music circles. In his “Essays on Mass Culture” he attempted to demonstrate that the freedoms enjoyed by Americans people were “illusory freedoms, and that the underlying cultural reality is one enslavement to the fetishes of the market and the consumer culture, which by placing appetite above long-term values led to the loss of rational autonomy.” There is some truth in this assessment, but like Marx, he may have been a better diagnostician than clinician. The irony here is striking. The American music Adorno detested (especially Jazz) was the product of the common man (aka, the proletariat! ), the very constituency that the left always claims they’re championing. But as Scruton points out, pop music “gets up the intellectual nose, precisely because it seems to leave no opening for the would be ‘priesthood.’ Intellectuals on the left (those who advocate greater degrees of state control) have never been able to accept that the spontaneous choices of ordinary people might be the final explanation of their social world.” Spontaneity and creativity thrive best in societies where freedom flourishes. We should be mindful too, of Karl Popper’s warning: “Democracy and freedom do not guarantee the millennium. No, we do not choose political freedom because it promises us this or that. We choose it because it makes possible the only dignified form of human coexistence, the only form in which we can be fully responsible for ourselves. Whether we realize its possibilities depends on all kinds of things — and above all on ourselves.” This is First Blessing/Headwing stuff. Thank you, David. Yes, we humans have an obligation to hold on to the utopian impulse. Following Harry Jaffa, I think Madison’s understanding of social compact, and its concomitant requirement of recognition of human equality, is our only bulwark against tyranny. But I think there is what the left calls liberatory potential in the founders’ thinking also. It seems to me that the individualism of Locke and Madison has been overplayed, so that the “republic of virtue” is still a worthy goal (following Thomas G. West). If Paul Rahe is right that this republic is history’s best, it would seem silly to let the progressives junk it. A nice introduction to a very complex era! Thank you, Peter. This is a very fine article on a piece of Spanish history I did not know. The idealism of youth is especially sensitive to injustice and inequality and easily manipulated by Marxists because they are still dependent on parents and society for their livelihood. They have not yet learned that, as adults, they will have to be productive and care for themselves. Communism promises people that they will be taken care of by the state. This is the big lie youthful idealists “fall” for and why the top of the growth stage is very precarious without responsible and productive parents surrounding youth. This idealism should never stop; our spiritual searching should never end. We should not become insensitive to injustice and inequality. However, the naivete of youth needs to be transcended by real knowledge. Unfortunately, the media and popular culture praise and extol this naivete, and often become obstacles to the growth required to solve the problems of injustice. Thank you, Peter, for an interesting and thought-provoking article. People like Orwell, Golding, Green, Burgess, Beckett, Lawrence, Kubrick, Peake, Kafka, and so forth, were the standard fare of grammar schools in Britain right through the 1960s. Many covered political thought, sexual mores and a substantial amount of dystopian works. The period led up to the collapse of Britain as a “central nation” in the 1950s, so the hallmarks of confusion, questioning and chaos were all there. The sun was setting on empire, though I daresay Grammarians who graduated within the spheres of higher education preceding university or college entry, took some of this literature to heart. This took place at age 18, perhaps a little sooner depending on exam passes, so there was intellectual competence regarding the reading material but not the maturity, age and experience, which might be necessary for a fuller understanding. The article brings back memories from this time including those students who moved to their own form of deconstruction with the support of some of this literature, though in our school most moved on to higher education without ruffling the feathers of the powers that be, though losing respect for God, Queen and Country to a large extent, in the process. And there were questions but not too many answers. Indeed, some went the way of revolt into the arms of anarchy and communism and one or two got into trouble. The vicissitudes of youth I suppose, in the ’60s and ’70s. However, I note the term dystopian is also bolstered by the term utopian in the article. 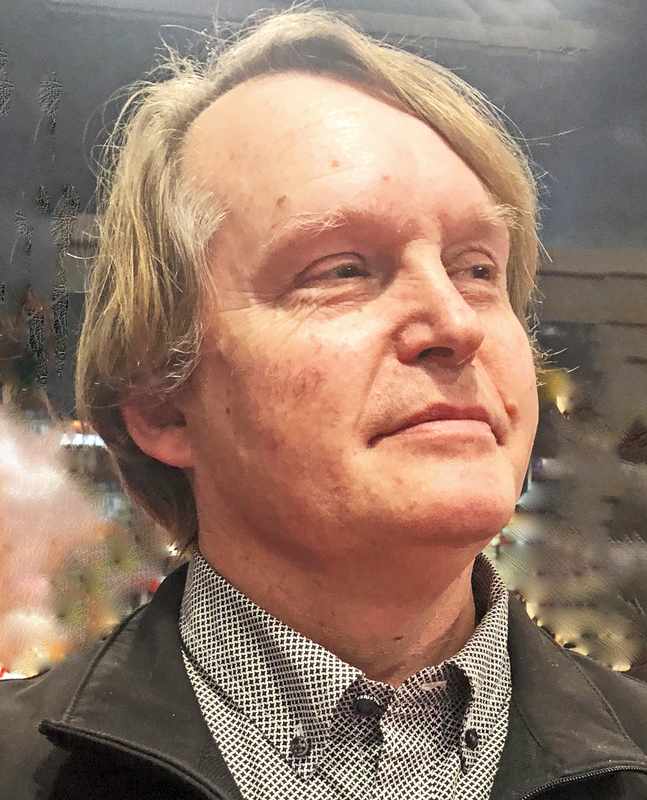 Here, looking at theology later in life, we find utopian thinking is defined by Eric Voegelin in his collected works as a humanist venture which finds its origins in revolt against the theological world of the early Christians. Humanists had their man-made utopia and Christians had their Kingdom of Heaven so they differed radically. It is also utopian models which unfold negatively through history and the Renaissance coming to inform Communism and the Nazis and other socialist experiments by definition — their dystopian world full of control and of course atheism. Utopia, as the scholars tell us, is a purely human construct, so this was in the air in the deconstructionist world of the early 20th Century and later. And quite a few swallowed it. An interesting review/perspective on surely Orwell’s least-read book on his (apparently) most important first-person totalitarian experience. So, EG, the critics of Orwell’s views on totalitarianism seemed to resort to Saul Alinsky’s idea that constant ridicule is an effective way to diminish the author and his ideas. Not surprising, actually. We see it everywhere today by those who resort to nasty invective towards anyone who doesn’t comport with progressive orthodoxy. As Peter mentioned in his reply, a republic that honors individual liberties and touts representative government has been the best attempt at fashioning a humane society that we’ve seen thus far. What rankles progressives is that this mode of governance results in unfairness. Therefore, trade-offs must be a part of the social equation and this is viewed as fundamentally at odds with any utopian vision.